-Limited quantities of new Bernina 530 Limited Edition models available for the USA market. -Hitting Market April 2018 while supply lasts. 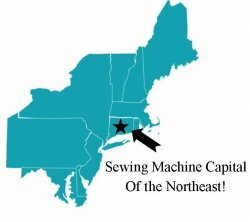 For 125 years, BERNINA has been passionate about creating and developing sewing, embroidery and quilting machines for creative people everywhere. And Swiss precision is standard for every single product. "We focus on the creative ideas of our customers," says Hanspeter Ueltschi, owner of the company and the great-grandson of the company's founder. "Our aim is to expand the creative scope for textile design with user-friendly products and new functions." 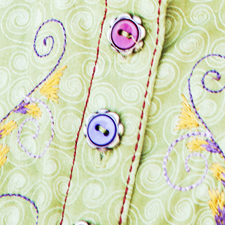 BERNINA has therefore chosen the motto "Celebrating your Creativity" for its anniversary year. There are lots of golden opportunities to get involved, so come and celebrate with us - it will be great! -The BERNINA 530 Gold Edition was designed with a passion for detail – for the ambitious sewer who demands precision and versatility. The BERNINA 530 Gold Edition boasts an extensive repertoire of utility and decorative stitches whose properties can be individually set. Stitch length and width as well as 11 different needle positions can be freely modified, and either temporarily or permanently saved to the 530 Gold Edition’s memory. The BERNINA 530 Gold Edition is therefore up to the challenge of a wide range of tasks, and provides you with optimum control over your sewing projects. Stitch parameters can be individually matched to the fabric and the intended effect, so that you always achieve your desired result when sewing and quilting. The BERNINA 530 Gold Edition’s clearly laid-out control panel enables quick access to all stitch patterns and settings, including reverse and mirror function, manual or automatic buttonhole, and much more. Clever, practical and flexible – the ideal sewing machine for ambitious sewers. The optional BERNINA Stitch Regulator (BSR) also puts maximum-precision free-motion sewing and quilting within your grasp. 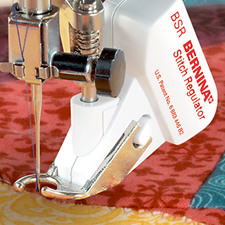 The easy-to-attach foot imparts full BSR functionality to the BERNINA 530 Gold Edition and provides exact stitch lengths when free-motion sewing, even at variable speeds – increased precision that makes for an accurate, picture-perfect quilting result. This sophisticated technology evens out variations in speed during manual guiding of the fabric, thereby creating a consistent and precise stitch pattern. The optional BSR function of the BERNINA 530 Gold Edition is a valuable tool that you soon won’t be able to live without! With the BERNINA 530 Gold Edition, sewing buttonholes of the exact same length is no longer a problem. Simply set the desired buttonhole length and sew. The BERNINA 530 Gold Edition saves the set length and automatically repeats it with each successive buttonhole, as many times as you wish. You achieve precise results that meet the highest standards with no resetting and very little effort. This one-step automatic system demonstrates the BERNINA 530 Gold Edition’s high standards for comfort, convenience, and ease of operation. A winning combination of cutting-edge know-how, long-standing experience, and Gold precision. 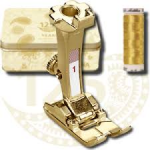 The basic equipment of the BERNINA 530 Gold Edition encompasses148 different stitches covering a wide range of uses: 22 utility and 117 decorative stitches including 12 quilting stitches are available to users from the get-go, allowing you to complete a wide array of sewing and quilting projects to the highest standards. 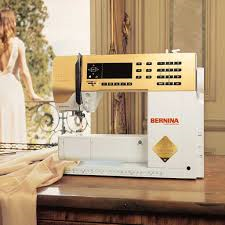 In addition, the BERNINA 530 Gold Edition offers nine different buttonhole programs, four sewing alphabets, and a range of practical functions such as mirror function or reverse sewing, and allows you to save your own stitches and stitch combinations in both the short- and long-term memory. With this feature, you can program your own creations in the BERNINA 530 Gold Edition to be available for you again the next time you start up your machine. Up to 100 stitch variations can be permanently combined and saved in this way – memory aplenty for your creativity and for your most frequently used stitch patterns and combinations. 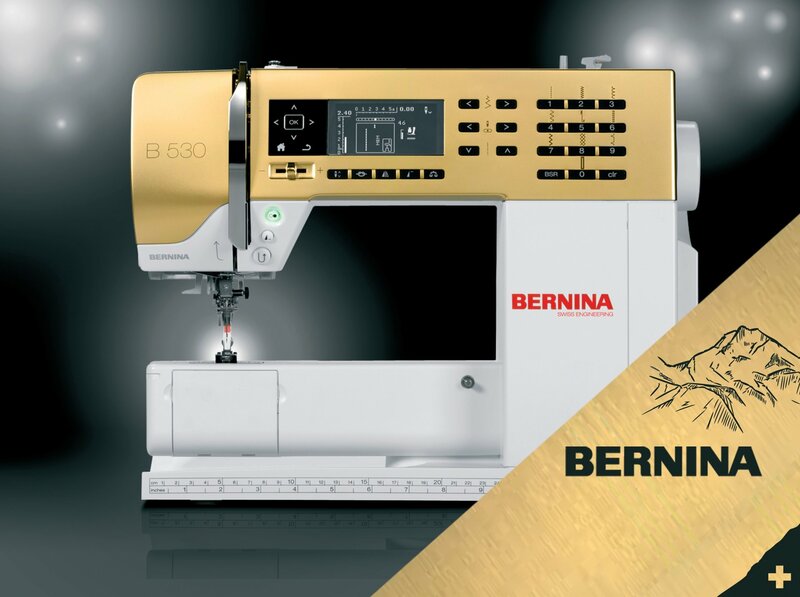 You will be thrilled by the BERNINA 530 Gold Edition – a machine that’s the perfect combination of cutting-edge design and advanced technology. Whether you’re sewing or quilting, the BERNINA 530 Gold Edition’s user-friendly interface lets you navigate quickly and easily via the arrow keys. What’s more, all settings are clearly displayed on a modern LCD screen. Our cutting-edge machines are equipped with numerous innovative features and programs. Here is an overview of what the BERNINA 530 Gold Edition is capable of, as well as a list of its advantages. 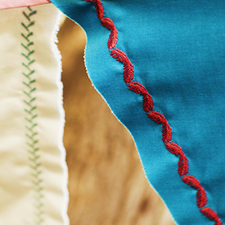 Widen your creative horizons with BERNINA accessories. BERNINA offers you a wide selection of accessories that give free rein to your creativity. Choose from our extensive range of presser feet and specialty BERNINA accessories for sewing, quilting, embroidering, and serging. Manual and firmware for BERNINA 530.